Even though my email address is printed at the end of each of my columns, I seldom get any comment from readers. The 5/1/13 column I wrote concerning my views on Tuna Canyon was the exception. Three friends told me that from reading my column, they were unclear whether or not I was in favor of designating Tuna Canyon as a historic monument. In addition, I got a phone call from a JA politician about my views on the subject. 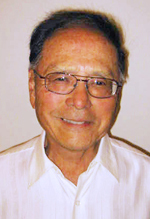 Russell Endo, who grew up in Tujunga, wrote an impassioned Rafu Shimpo response to my column, telling of how his grandfather was detained at Tuna Canyon before being reunited with his family at the Santa Anita Assembly Center. I need to clarify the position I took at that time, and how it has changed. In that column I took exception to Councilman Alarcon’s statement that Tuna Canyon Detention Center was a mistake. My position, at that time, went something like this: In spite of the harmful consequences to the Isseis who were detained there, for national security, their detention, immediately following Pearl Harbor, was not a mistake, but was necessary. Executive Order 9066, resulting in the incarceration of innocent Japanese Americans and their parents, was a grievous mistake rectified by the Civil Liberties Act of 1988. The dubious reason for this gross injustice was to protect national security. The establishment of Tuna Canyon to protect national security, which came immediately after Pearl Harbor, seemed, to me, justifiable. What changed my mind was reading the text of the Civil Liberties Act. It called for redress to all Japanese incarcerated — those, who like most of us, were imprisoned under E.O. 9066, as well as the Japanese immigrants who were interned in Tuna Canyon. Congress and the president apologized for interning all of us. Protecting national security could not be used to justify either act. In designating the La Tuna Center as a historical monument, we can tell our stories of the harm that resulted from the detention process to so many of our Issei loved ones. More importantly, we can emphasize that there was never any evidence of a disloyal act on the part of any Japanese person, citizen or non-citizen.